Destroyed jeans or shorts basically scream casual. They are also very versatile and you can pair them up with just about anything to achieve all kinds of looks. Here's a look I wore last week during my "back to basics" week. 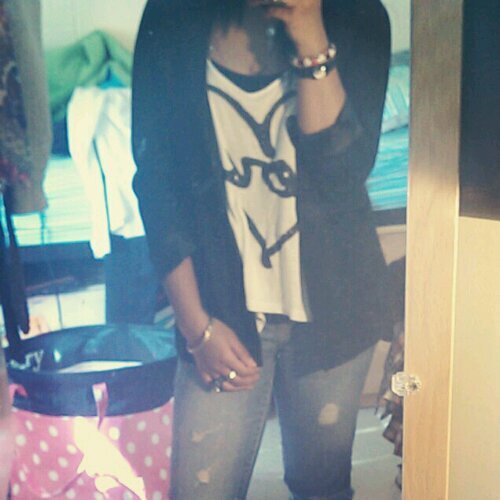 I toned down the destroyed jeans with a flowy crop top and a black fitted blazer. What do you think? How do you wear your destroyed jeans?